Teach an eagle to walk before he can fly and you’ll train a flightless bird. Instead, let the wind under his wings be the guide to carry him, not his legs. Build his nest high, and when it’s time to open up his wings, he will soar. He will learn to trust the wind. When you push them out of the nest, even you will be amazed to where the wind of the spirit takes them. If we receive the gift of giving from the Holy Spirit, why can’t he guide the amount? But of course it’s natural that mankind puts his mark on things, subduing the Holy Spirit. Go ahead, tell them they have legs to walk with, and let the strength of their legs be their guide. It’s telling someone that 10% is a minimum. They’ll think 15% is an above and beyond mark, and in turn, the legs are trained to carry him the rest of his life. But teach them 100% and let the spirit guide them in their giving with the sky as the limit. With the wind as their force of energy, eagles can hover for longer periods than we can walk or run in our own strength anyway. how can you tell the HS that the 10% level of giving is the launch pad for a particular christian. You or I don’t know what the minimum was in the OT, because specific amounts of offering were REQUIRED along with the tithe. 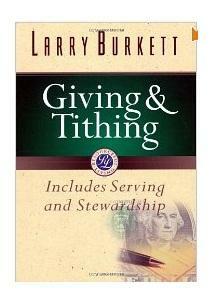 In other words a tithe was just a portion of what was required to give back to God. The OT doesn’t teach 10% minimum, so where does it come from? 10% was just portioned off so it could be designated into different storehouses. [sarcasm]Oh my, must we really let go of our security blanket and let the Holy Spirit handle the minimum amount? how dangerous can that be? Going completely against human reasoning, letting go can only be Spirit led. For some reason the comfy nests/security blankets in our life seem to be handled best by the Spirit. A security blanket can be anything. it can be a guaranteed salary, a house, children, job, etc. Now, in our hearts we think God’s Spirit can move those securities out from underneath us whenever he wants, but when he does we get all nervous, and flap our wings frantically wondering how we will ever survive. in this case “freewill” is a scary word for an accountant and pastor to hear about. I’m not saying pastors have or want complete control over giving, because you and i know they don’t, otherwise people would be giving more than they currently do. Many pastors have a good heart and they mean well by preaching their giving standards. Standards might seem good to start out with, but their two causes are either for protection or the Holy Spirit isn’t in control of people’s lives like he should be. We know that giving a minimum of ten percent doesn’t protect us from being out of God’s will. So, the next logical answer is, God’s Spirit isn’t in control of people’s lives like he should be. So let’s change the message to a higher authority than the law, God’s very own spirit. Take a test fly pull the nest out from under us. Don’t panic, and spread the wings and let the wind of the Holy Spirit guide.